Adam Sliwinski’s family hails from western Pennsylvania, but recently he found his great-grandfather on the cliffs of a small town in northern England called Seaham. Sliwinski, one fourth of the ensemble that forms New York-based Sō Percussion, says a trip with Sō to Seaham and its surrounding towns revealed a universal truth— industry, even a vanished industry, holds sway over a town and its inhabitants. In Sliwinski’s part of Pennsylvania and in Seaham that industry was coal mining. In the Lehigh Valley, where Sō Percussion will perform the U.S. debut of the multimedia performance its members created in Seaham called “From Out a Darker Sea,” the legacy of the blast furnaces of the old Bethlehem Steel and the aging kilns of long-defunct ironworks and cement factories still marks the region and its people. 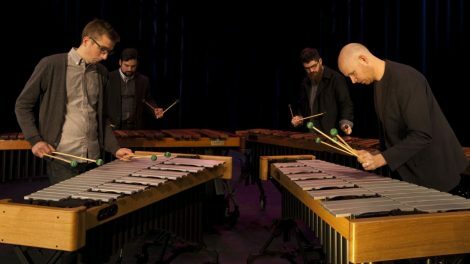 Sō Percussion will perform Steve Reich’s “Music for Pieces of Wood,” Bryce Dessner’s “Music for Wood and Strings,” and “From Out a Darker Sea” 8 p.m. Friday, Oct. 13, as part of the Performance Series at the Williams Center for the Arts. 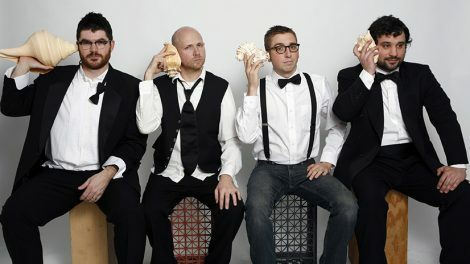 The group performs classics and original compositions on percussion instruments at venues such as Lincoln Center Festival, Bonnaroo, and Eaux Claires Festival. 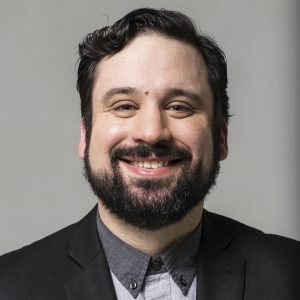 Sō also will give a first playing of some Lafayette student compositions noon Thursday, Oct. 12, at the Williams Center. Buy tickets to the Oct. 13 performance. “It was very moving for me,” Sliwinski says of his visits to Seaham. The group first visited the region’s rocky shores at the invitation of Forma Foundation, a cultural nonprofit that brings the arts to depressed areas. Seaham was founded in 1928 as a colliery—a coal mine and its surrounding buildings. By 1992, the Seaham mine closed along with others nearby, and the town fell into a financial malaise from which it hasn’t entirely recovered. Sō (Sliwinski, Eric Cha-Beach, Josh Quillen, and Jason Treuting) visited the region three times in 2015 and 2016, learning about its mining history and interviewing residents. Members heard harrowing stories of cave-ins, industrial accidents, and death. “Almost everybody had some horrific story of something happening in those mines,” says Sliwinski. He had heard such stories before. His great-grandfather, a Polish immigrant, worked in a Western Pennsylvania coal mine and died of black lung before his 50th birthday. But in Seaham, 60 years of hardship and danger when men pulled coal from the ground are remembered fondly. There was a sense of community among the miners that became lost when the world shifted, Sō learned. “From Out a Darker Sea” integrates art, narrative, photography, film, and an original musical soundscape into four movements. It incorporates the unique dialect of a region that parallels both Lafayette’s hometown and dozens of other communities faced with the hardship of shifting industrial trends. Sō debuted the show at an old church in Seaham. More than 200 locals, many of whom had never seen a contemporary concert before, attended. The final movement, entitled “Billy’s Song,” tells the story of a young man who died in a mine accident. Some of the old miners in Seaham knew Billy. “Some of them had tears in their eyes” Sliwinski says.